Before we get too far into what makes a good family dentist, lets first define what it is. A family dentist is your one stop shop for you and your children’s oral health care. Family dentists provide all the same services as normal dentists, but in addition, they’re happy to see children as well. Most dentists that put themselves in the family category have extensive training and experience with children. A lot of family dentists have completed further training to obtain a pediatric dentistry license. This is an additional license that dentists can receive after completing 2 to 3 more years of pediatric training. Extensive experience: Although a degree from a top dental school with great grades are a plus when looking for a trusted family dentist, make sure your dentist has experience too. It’s one thing to learn about dentistry, but in a field that is literally hands on, it is important that your ideal dentist has a lot of experience. This way, they can identify oral issues that you or your children have fast, before they get worse. Location: We know that family logistics are hard to coordinate, so it’s best that your family dentist is near your home. With children especially, dental issues can happen any time of day or night. Find a dental office that will do its best to accommodate dental emergencies as soon as possible. Even if you get busy with other family items, the practice will be close enough to you that it won’t completely throw your day off. Interpersonal skills: A great family dentist will have amazing interpersonal skills. When dealing with your family’s health, you want answers that you can understand. You also want to be able to feel comfortable expressing various comments or concerns about the process. In addition, children respond well to attention and humor, which lowers their tension. This can be vital during more complex procedures that children may struggle to sit still through. All these factors make interpersonal skills a must when searching for a family dentist. Dental Insurance: We know dealing with a family health budget is a lot harder than just worrying about yourself. That’s why it is imperative that you make sure your family dentist of choice takes your specific dental insurance. 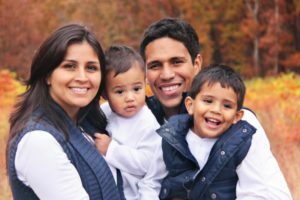 Factors that determine who would be a good family dentist might vary from family to family, but the comprehensive list above provides a baseline of traits to compare when searching for your ideal oral healthcare practice. Dr. William Herr and Dr. Andrew Luccio have both received various awards for their expertise in dentistry, and they stay up to date with the latest advancements in the field through involvement in the Academy of General Dentistry. They have both logged hundreds of hours of continued education and are ready to meet your family’s oral health needs today. They currently practice at Capron Park Dental and can be contacted by phone at (508) 222-5950.